Well it is the day after Valentine's day. Had my fill of chocolate and cinnamon hearts. Hubby and I had a great night of snuggling and me surfing amazon trying out how to spend my gift cards in a way that will give me the most books. Trust me if you look in the right places you can get boxed sets and that for cheap like .99 cents cheap. I was one pretty happy girl by the time I was done. Even preordered a couple of books that I am waiting on. I found this book and author at a book release party. I saw the cover and thought why not give it a try . It was free on amazon so what was I going to loose if I happen to not like it. Well I was wrong I loved it . The characters were funny and sweet. I mean how many women have had their boyfriends of significant others say , HEY I NEED A BREAK to get my head screwed on straight. Then us girls are like well what did I do wrong or can I help him with his journey of self discovery. Those are the feelings that Beth is having in spades. She doesn't know what to do. Should she help Oz or start living her life to the fullest. Nash helps her out with the living her life to the fullest but is he the right man for Beth. I thought so at first but then you start to have your doubts about Nash also. Beth wants the white picket fence and the two children but are either of those men even worthy of her love. Jean has wove a special story about small town life and the characters that live there. We all have those people whose life it is to gossip and stick their noses into everything. 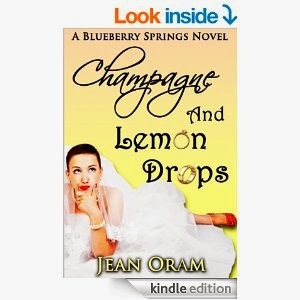 The characters that Jean has written are flawed but also very lovable.